MADISON—Fay Renette Stephenson, beloved mother, grandmother, and friend passed away peacefully on Wednesday, March 20, 2019 at Oakwood Village Prairie Ridge. Fay was born in 1928 in Staten Island, NY, the only daughter of Swedish immigrant parents, Ragnar and Gertrude Flodstrom. She was raised in New York alongside her close-knit Swedish extended family. Though she lived most of her life in Madison, she was always, at heart, a proud Swede and New Yorker. A bright and avid learner, Fay graduated from high school a year early and, at the age of 17, moved to Madison to attend the University of Wisconsin, from which she received a Bachelor of Science. 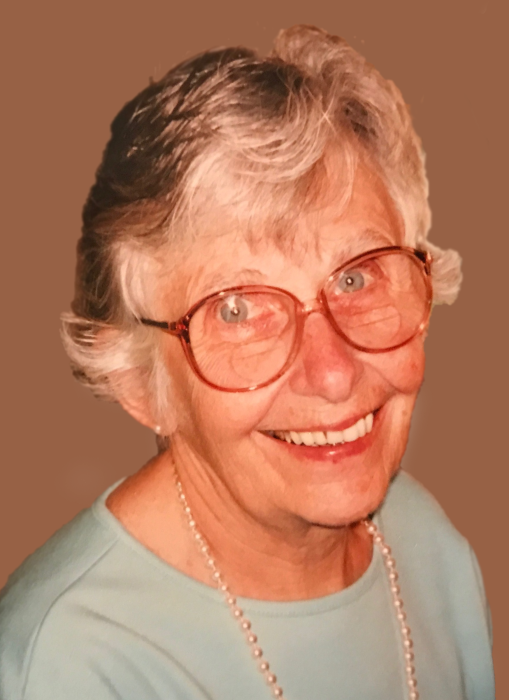 While enjoying the dancing opportunities of college life, she met her late husband and love of her life, Roger Stephenson, whom she married in 1949, and with whom she raised her three children. Fay was a devoted daughter, wife, mother, grandmother, and friend, and was cherished by so many. She was truly loved by everyone—family, friends, neighbors, bank tellers, and milkmen alike. She was equal parts grace and grit, wisdom and fun, and was admired for her strength and positive spirit. She loved New York, Frank Sinatra, Keanu Reeves movies, celebrating her Swedish heritage, taking care of her hard-earned income property, driving her Saab (often while spilling an extra dry cappuccino on its upholstery), and knitting mittens for family friends, neighbors, and her favorite coffee shop baristas. Throughout her life, her bright smile, warmth, and sense of humor made her one of the favorite people of those who were lucky to know her. She loved life and those around her—and taught us to do the same. Fay touched the lives of so many and will be dearly missed. May her love and light be carried on in those who were fortunate to know and love her. A reception for friends and family to celebrate Fay’s life will be held at her home on Sunday, March 31 from 11 am to 2 pm. We hope the deer will join us in the yard. In lieu of flowers, donations to the American Cancer Society or Alzheimer’s Research Foundation will be graciously accepted in Fay’s name. To view and sign this guestbook, please visit: www.ryanfuneralservice.com.